I just finished Ross Bentley's Speed Secrets: Professional Driving Techniques. I really enjoyed the book and it has helped me to think critically about my driving at work and on the racetrack. I find it very helpful to hear seasoned pros like Ross Bentley and James Weaver give insight into what allowed them to achieve what they have in racing. They fine detail at which Ross approaches driving is amazing and has inspired me to try and raise my game. As an engineer and driver, I appreciate and understand the science behind driving at the limit, but I enjoyed this book for the simple, easy way that Ross describes top-notch driving technique and theory. At about 150 pages, it was a pretty quick read compared to most "textbook-style teaching books" which makes it effective in my opinion. I believe it is a book that anybody who aspires to driver better can pick up, read, understand, and apply to whatever driving they are doing. Speed Secrets will be a reference to me throughout my racing and driving career. I have already re-read parts of it to make sure it was fresh in my mind. Most of the "Speed Secrets" documented throughout the book are relatively basic, but you can't apply the harder techniques without mastering the basics. At times the book is repetitive, but I think it helps to have some of the lessons re-iterated throughout the book. Overall, I recommend this book to anybody who wants to get faster in a racecar. My karting plans for the weekend at Rimrock Raceway in Midland, TX had to be cancelled this weekend due to the stellar weather outside. It rained/snowed most of the morning with a high of 45 degrees and sustained winds of 20+ MPH. Not the best karting weather and crazy for March in West Texas! I had planned on going to Midland today for an all day practice to get myself up-to-speed with the new kart, stay the night in Midland, and then race with the West Texas Kart Association tomorrow. The weather should be good tomorrow, but the practice today was much more important the small amount of track time I would have gotten tomorrow so I decided to save money and practice another weekend. Instead, I relaxed and watched the 12 Hours of Sebring rooting for the Rahal BMWs. Since moving into my new townhouse in San Angelo, Texas last month, my girlfriend and I have worked hard on getting the house in order so we can get back to normal, everday life. 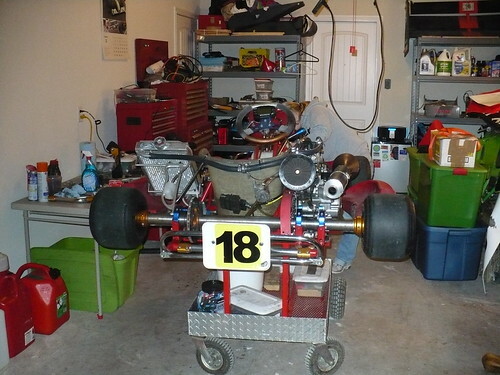 Well last night, I finally got the garage "in-order enough" to work on the kart and start race season. My townhouse has a single-car attached garage and space in front of the garage for me to park my trailer. 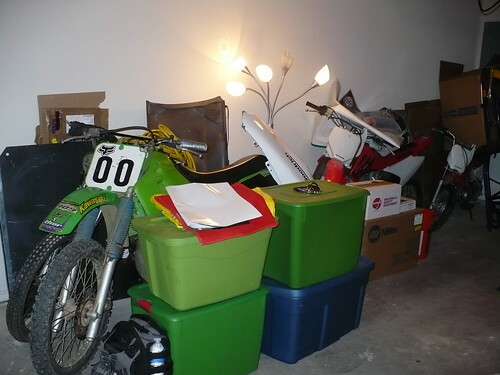 This means both my Miata and our truck are on the street, but it's worth it to have room for the racing gear. 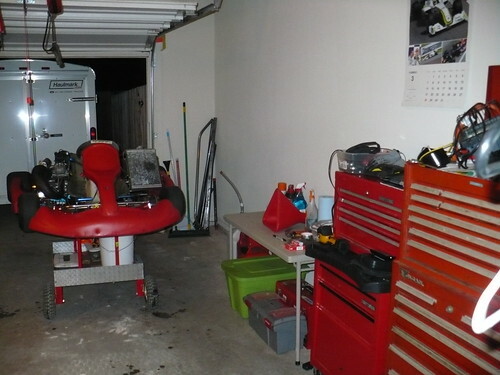 As you can see, I have some work to do still in the garage, but my "race shop" part of the garage is complete (minus tidying up) and therefore I can do anything I need to with the kart. The "fab shop" area is not critical to have for race season, but I'll try to get it done as quick as possible. It will be for small projects, brackets for the kart, possible future racecar projects, and my girlfriends metal art projects. After my engine flooding issues at the track two weeks ago, I was able to get the engine started last night without much trouble. 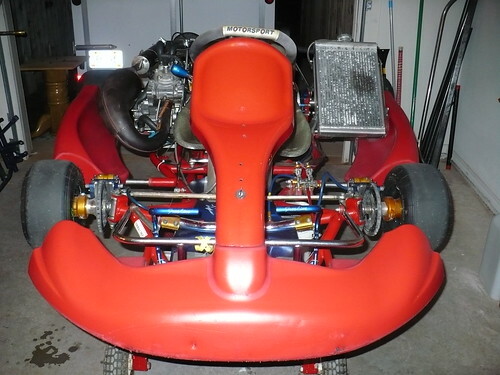 Everything is in good working order and I am very pleased with the shape the kart is in. I am going to Rimrock Raceway in Midland, TX this weekend for practice. The track is open for practice on Saturday and the West Texas Karting Association is hosting a race on Sunday. I'm planning on practicing Saturday and running the race on Sunday just for practice and to meet people. Since this will be my main practice track, I'd like to meet some regulars that I can practice with. I'm heading to Midland Saturday morning and will be returning Sunday night with some good video and pictures to share. 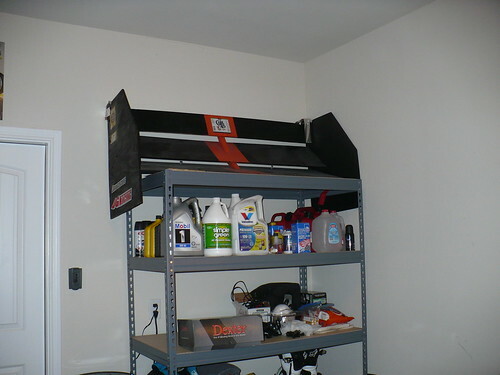 One last pic...no garage is complete without an Ex-Lemons triple element wing. Another week, more great racing videos. This week's videos are inspiration for an aspiring test driver and impressive display of car control. Since racing season is starting, I'm going to scale back the racing videos to once a month, but I promise they'll still be top-notch. Another week, another great racing video. Enjoy the sounds of insane Rally Group B cars. As I have posted before, I worked for Team Cardiosport in the Grand-Am Koni Challenge for the the 4 seasons. Despite the team owner of Cardiosport deciding to split ways this past off-season, I've managed to stay active in Grand-Am for the 2010 season. 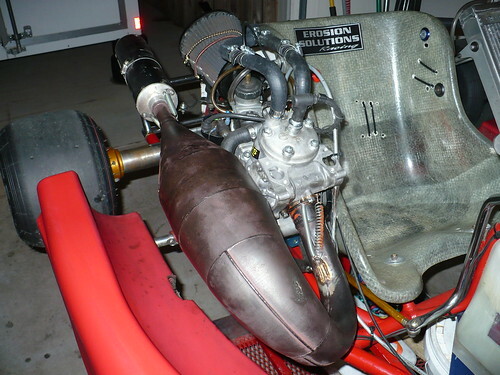 Former Cardiosport team owner Terry Heath of Indianapolis, IN formed Team Euro Motorworks (named after his business) with a goal of running the full season. Due to the new job and my racing schedule, I won't me able to travel to each race, but will be attending a few. 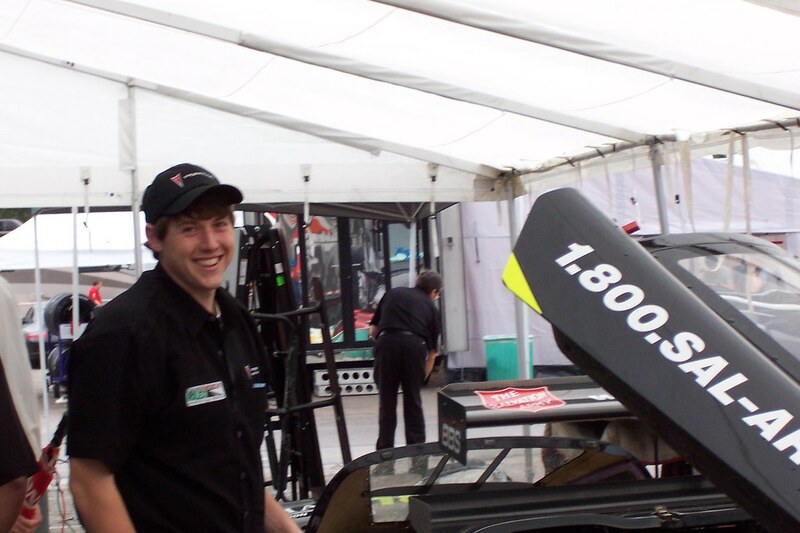 It will be good to back in the Grand-Am paddock. For the other weekends, I workout my "recommended" strategy for each race depending on past race results, our expected pace, the size of the field, our fuel mileage, goals for the race, etc and will make any requested changes to our fuel strategy program. Team Euro Motorworks traveled Homestead-Miami Speedway (a track Terry and the rest of the former Team Cardiosport has not raced at) for the second Conti Challenge Race. We decided on a one-pit strategy for this race mainly because we expected to be off the pace being that it was our first time at Homestead and because we want to race for podiums, not points. Looking at mainly past race results, past qualifying times, this year's car count, and previous car counts, I estimated that the race would have 16 yellow flag laps and run 92 laps resulting in a pit window of Lap 43 to Lap 49. We use these "race" scenarios to prepare the team for different happenings during the race and to more quickly decide strategy in-race based on what is actually happening. Well for today, I estimated right. There were 16 yellow laps in the race today which ran 91 laps and a yellow fell perfectly in our small, gambling pit window - right on Lap 43. It was very cool to watch this unfold on Grand-Am's Live Timing and Scoring. I will post another update after I talk to the team. To get ready for the F1 season, here is a Michael Schumacher karting video from SKUSA SuperNats this year in Las Vegas. Bonus points if you can find Carlton Banks from Fresh Prince of Bel-Air in the video. 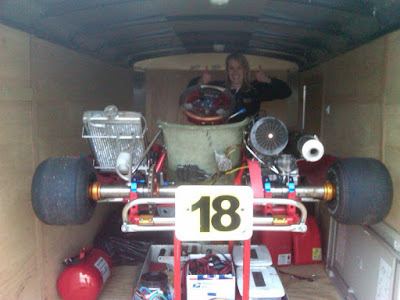 I picked up my new shifter kart from Kevin Adds and Mike Jones of The Kart Shop, Inc. The chassis is in great shape with only 2 races and 1 practice day on it (not bad for a 2007 chassis) and the motor fired up instantly. I took it back to my girlfriends parent's house in Dallas (where I will be staying on race weekend in Dallas) for further inspection/prep for my first practice session on Sunday. Everything looked in good racing order.....except for the fact that we forgot to turn the choke off after starting the engine on Friday night. I got out to the track about 10 AM on Sunday. The main goal was getting used to driving a shifter and to set a baseline lap time for future driver/kart improvement. This plan was hampered however by only getting 10 laps in before the throttle cable came loose leading to the RPM dropping to idle leading to the motor stalling because I was running WAY too rich with the choke still on. After an hour of trying to unsuccessfully re-start the engine, I had to leave for the track to start my journey back to San Angelo. The engine is fine and is producing good spark, but it was just too flooded to refire even with a new spark plug so I didn't do any damage - I just screwed up my day. However, my ruined day was kind of recovered when I got to drive a Factory Five Cobra replica with a Ford 5.0 engine and eat delicious Mexican food at Joe T. Garcia's in Fort Worth. I will be back at the track in two weeks for practice at Rimrock Speedway in the home of Chaparral Cars - Midland, TX. 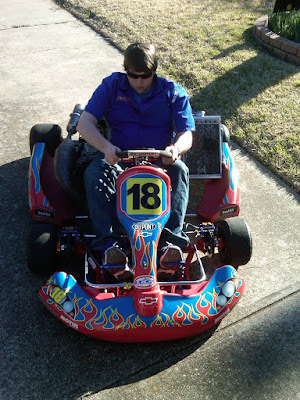 NOTE: Yes, the kart does have a Jeff Gordon Dupont decal scheme. The previous owner does business with Dupont and Jeff Gordon, so he threw on some flame-filled Dupont Chevy graphics. I will be removing them for something slightly more under-stated and non-NASCAR.